The last two weeks of March will be packed with all sorts of fun. On Friday March 22nd, I will give a presentation to the San Francisco Regional Mensa group on the topic of nihilism in Scottish film. The talk will take place at Fort Mason Center at 7:30 pm. The Specials, still one of my favorite bands, will be playing in San Francisco at the Warfield Theater the following evening, Saturday the 23rd. The following week, beginning on Wednesday, March 27th and running through Sunday the 31st, The Pacific Division meeting of the American Philosophical Association will take place in San Francisco at the Westin St. Francis Hotel. 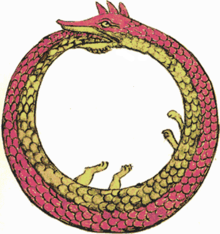 I will chair a session on Nietzsche’s Eternal Return of the Same on Saturday the 30th from 1 to 2pm. Scott Jenkins from the University of Kansas will present his paper titled “What does Eternal Recurrence Weigh On?” and Babette Babich from Fordham University will comment. Hasn’t all of this happened before? The book Disease, Pain and Sacrifice, by David Bakan, is a work that I did not fully appreciate upon a first reading. I discovered a copy about a year ago among a stack of discarded books at the college where I teach, and the title alone was enough to catch my attention, but I also gleefully savored the reactions of people who would ask me about it. “Well, that sounds like some light, uplifting material!,” was a common, sarcastic response. Usually such comments would be followed by an uncomfortable laugh and then a quick change of subject. It was no big surprise that most people prefered to avoid dwelling on such dark subjects! When I first read the book, it wasn’t the grim subject matter that put me off, but rather the author’s integration of scientific medical findings into a work that otherwise leans heavily on literary theory, biblical analysis and psychoanalytic interpretations. Originally published in 1968, the book draws on studies going back as far as the 1930’s, and due to the ever-changing nature of science, I was naturally skeptical about the continued relevance of such material. It makes me suspicious when a philosopher makes too many appeals to science in order to buttress interpretive claims. While such appeals might be superficially interesting, I tend to think that they generally distract from the underlying issues at hand. What count as the latest scientific findings of today quickly become the outdated speculations of yesterday, and so authors always run the risk of making their writings seem outdated and irrelevant when they put too much confidence in the current state of scientific research. Additionally, when non-scientists make appeals to science, the result can sometimes turn into a kind of pseudo-science, further undermining a reader’s confidence. Without calling himself a nihilist, Bakan here nonetheless eloquently expresses what I understand to be the “truth” of nihilism. We are destined to “squirm around,” doing one thing after another as we attempt to convince ourselves that all of this is not in vain. We subject ourselves to strain, stress and suffering in the attempt to overcome strain, stress and suffering. In the end, we die, which is the only thing that can halt our incessant “squirming.” This is dark stuff, but it is also hopeful in the sense that Bakan argues we are capable of understanding this process and, through the cultivation of that understanding, come to terms with our situation. I’m not so sure of the last point myself. In my experience, the confrontation with disease, suffering and death is always accompanied by a sublime and terrible awe that exceeds my own capacity to feel reconciled or content with the nature of the world. I would note here that I’m not even referring to my own disease, suffering and death, but to that of the people around me and with whom I am close. When I stop to reflect on the inevitability that there will be a point in time when I personally will be visited by these evils, I tremble. Though intellectually I understand the day will come when terminal disease or some other bodily assault will strike and I will finally face oblivion, existentially I remain in state of awe-filled dread. I can report that I have also seen what appears like this same fearful incomprehension in the eyes of others; for instance when I am in public with aging and physically fragile relatives. Strangers on the street are generally kind, but behind the kindness I often detect a shudder. They, like me, see their own destiny when they encounter old folks. There is, thus, an unusual solemnity that occurs in the presence of the elderly, and especially the elderly who are infirm, fragile and vulnerable. 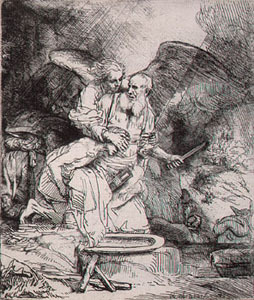 It is something like the “fear and trembling” described by Kierkegaard in reference to Abraham’s encounter with God when he had to surrender his will to the Holy. All of us, by virtue of being human, must eventually surrender our will to live when death arrives. Bakan expresses these sentiments, and yet he also seems confident that our intellect can save us from utter despair in the face of oblivion. He ends his book with the suggestion that if we stop “lusting” after eternal life, then we can become “comfortable” with the reality of old age, disease and death; something that I myself am not currently capable of doing. Maybe some day I’ll get it. The “tryptich” of Disease, Suffering and Sacrifice is constructed out of the three themes that appear in the book’s title. Like the panels of a three-sectioned art piece, each part echoes and develops the ideas in the other sections, weaving together a whole that is more than simply the sum of the parts. The first “panel” focuses on disease, characterizing it as the result of what the author calls “telic decentralization.” Contrary to the conventional “Darwin-influenced” view of life as a battle for individual survival, Bakan makes the (Freud-influenced) claim that individual life itself is internally endowed with a drive toward extinction, and that “the goal of all life is death.” (p. 26) If biological organisms are conceived of as consisting of parts (like cells and organs), which must subsume their own individual purposes to the goals (or teloi) of the whole, and if the goals of the whole organism at times differ from the goals of the parts, then there will inevitably during the life of the organism emerge points of internal conflict during which either the parts must sacrifice themselves for the whole or the whole must sacrifice itself for the parts. Disease, argues Bakan, occurs when when the parts of an organism start to pursue their own purposes without being subservient to the higher order purposes of the whole. “…disease is to be conceived of as decentralization of this higher telos of the organism, and its loss of dominance over the lower teleoi.” (p. 32) This is what happens with cancer, for instance, when individual cells multiply uncontrollably and thus interfere with the normal functioning of the entire body and its systems. The paradox for multi-cellular creatures is that on the one hand, their growth depends on the complex nature of their bodily organization while on the other, it is this same complex organization that leads to eventual disease and death. The third and final panel focuses on sacrifice, and it is here that Bakan engages in an utterly fascinating interpretation of the Book of Job from the Bible. The story of Job is one in which a pious man, Job, becomes the subject of a bet between God and the Devil. The Devil suggests to God that Job’s piety is merely due to the fact that he has never experienced enough suffering to make him question God’s goodness. God knows that this is not the case and so He challenges the Devil to make Job suffer in the most terrible ways in order to demonstrate that nothing will make him lose his faith. Consequently, Job’s livestock and his family are killed and yet it is not until Job himself is struck with a horribly painful skin disease that he truly begins to express dejection. For Job, it is ultimately his own physical suffering, and not that of others, that forces him to question the meaning of this ordeal. Bakan argues that before Job, Old Testament figures like Abraham and Moses were willing to sacrifice themselves for the good of the tribe, family and race. But with Job, a psychological change occurs. With him we find a man more motivated by the desire for personal survival than by the desire for the survival of his progeny. The death of his livestock and his family are nowhere near as powerful a motivating factor as is his own personal pain. Job, the author claims, is thus one of the few Old Testament heroes to make a distinction between himself and “other.” Here we have a man who has experienced a telic decentralization of his own “self” from the community as a whole. Bakan reads this story as an allegory indicating how disease and personal, physical suffering are implicated in sacrifice. Psychologically, Job is a figure who, like Abraham before him, has a child’s trust in his father (God). However, unlike Abraham, Job does not seem to be at all concerned with the legacy of his own children. Whereas Abraham agrees to sacrifice his own son Issac in order to ensure that the members of his family and tribe will be rewarded with a “promised land,” Job is concerned primarily with the alleviation of his own suffering, and he seems to put his own children and family on the same par with his livestock and his private property. In fact, the “happy ending” of the story has it that Job is rewarded for his continued faith with new livestock, a new farm and a new set of children; as if there was nothing all that unique or special about his own kids! Job is the head of a family, but his concern with his own goals and health are more important to him than the goals and health of his family. Abraham was willing to sacrifice his son for the good of the rest of his family and his tribe. Job is not. As the cells in his body undergo a telic decentralization, producing painful disease, Job himself becomes telic-ly decentralized from his community. He becomes an individual. Because we are biological creatures, we must all be born and we must all die. There is nothing that can be done about these facts. As the existentialists say, we are all “thrown” into the world, and once we are here we are are all “beings-toward-death.” While we are here, we can engage in projects. We can “squirm around” for a short period of time. All of these are things that I agree with. What I find hard to come to terms with is the idea that all of this is good. I still wish things were otherwise.